The Department of Chemistry offers an undergraduate program that provides a broad, rigorous and flexible education for work and advanced study in a variety of fields and invaluable training in the laboratory for today’s increasingly technical world. 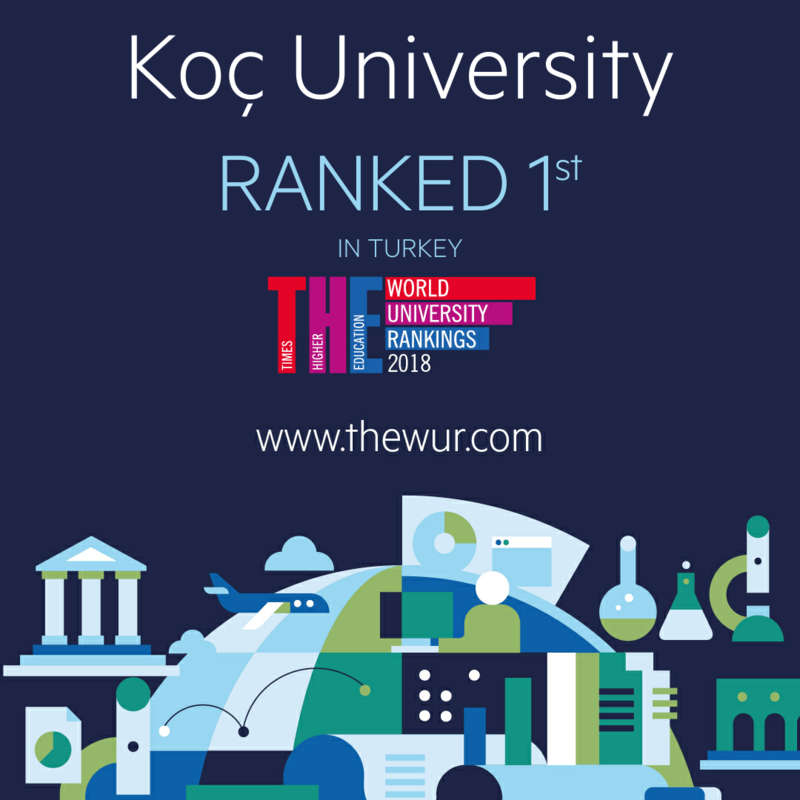 Parallel to the mission of a liberal arts education at Koç University, the Chemistry undergraduate program has the ability to adapt to the specific interests and career goals of the students. For a Bachelor of Science degree, the undergraduate students in the Chemistry program must complete eight required and two elective courses in Chemistry, as well as two semesters of an independent study project under the supervision of one of the Chemistry faculty, in addition to the core courses and other electives. All of the required courses in chemistry (General Chemistry I-II, Physical Chemistry I-ii, Organic Chemistry I-II, Inorganic Chemistry and Instrumental Analysis) have laboratory sessions providing practical skills beyond classroom study. The area electives prepare the students' research skills and the excitement of research and might lead to publications. 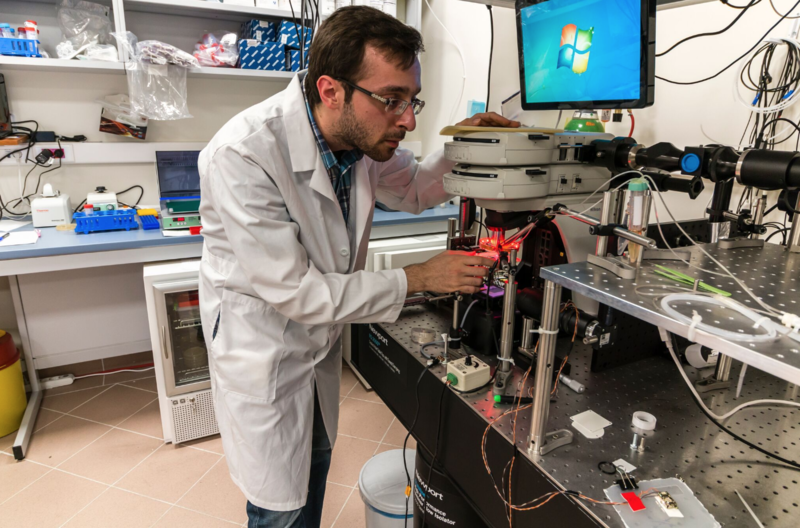 Opportunities in research include quantum chemistry, polymer syntheses and characterization, solid state chemistry, computational biology and surface physical chemistry. By appropriate choice of other electives, students have the opportunity to complete a double major program or concentrate on a topic of interest as a minor. A great majority of our graduates are accepted to the Ph.D. programs of leading U.S. universities with full scholarships. Others find jobs in R&D and QC laboratories, production, sales and marketing departments of industrial companies. Our Department has both theoretical and experimental research activities. Theoretical Chemistry, Quantum Chemistry, and Statistical Thermodynamics are among the main theoretical research interests. Experimental research is carried out by seven main groups in our department with extensive facilities. Main research interests are polymer synthesis and characterization, solid state chemistry, inorganic chemistry, physical chemistry, spectroscopy, rheology, surface and interface chemistry, nanomaterials, and electrochemistry. Graduate and undergraduate students are involved in research at all levels. Prof. Dr. Ersin Yurtsever teaches quantum chemistry, thermodynamics, and statistical thermodynamics. His recent research focuses on the areas of dynamics and thermodynamics of clusters and also quantum mechanical calculations of chemical bondings. Prof. Iskender Yılgor is conducting research on structural design, synthesis, characterization, and investigation of the structure-morphology-property relations in multiphase copolymers. He has extensive experience in the preparation, characterization, modification, and applications of thermoplastic polyurethanes, reactive silicones, silicone containing copolymers and epoxy resins. Inorganic chemistry research group of Koc University (KU) was founded in 1994 with the initiation of Prof. Dr. Mehmet Somer. + Piezo- ferroelectric metal oxides. Prof. Dr. A. Levent Demirel’s research expertise is in the field of surface/interface physical chemistry of materials. He worked on semiconducting thin films, molecularly thin liquid films, thin films of liquid crystalline & polymeric materials. His recent research interests include functional surfaces and self-organization of polymers & polypeptides. Assoc. Prof. Dr. Funda Yagcı Acar’s group mainly works on a synthetic project. She focuses on understanding the relationship between the structure and the property of materials, learn how to control these features and properties and exploit for various applications. She works on projects involving nanoparticles (such as quantum dots and superparamagnetic iron oxide), polymers and hybrid materials combining the two. 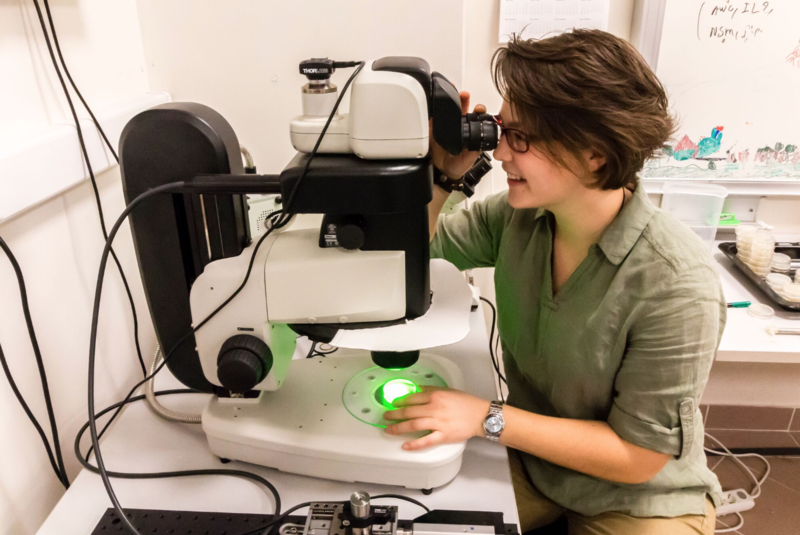 She is interested in broad range of applications such as contrast enhancement in MRI, imaging, drug targeting, sensors, lasers, magnetic separation and so on. Interdisciplinary nature of her projects provides an opportunity to expand her skills and knowledge in collaborations with other disciplines. Asst. Prof. Dr. Ozgur Birer’s group is interested in following subjects. Helium Nanodroplets – Load tiny droplets of liquid helium with molecules and do high-resolution spectroscopy at 0.4 K!. Protein-Surface Interactions – Follow the surface interactions in real time with Surface Plasmon Resonance and Quartz Crystal Microbalance. Sonochemistry – Derive chemical reactions with ultrasound to obtain novel nanoparticles. Asst. Prof. Dr. Ugur Unal’s research interests are a synthesis of ceramics, inorganic layered materials and application of these materials in the field of electrochemistry, photochemistry, and optics. He works on a synthesis of ceramics and inorganic layered materials with solid state reaction, sol-gel, and hydrothermal methods. The Unal group is mainly interested in layered materials. The nanotechnology behind layered materials is being revealed by the structural and physicochemical properties. Compared to the bulk structure, nanosize sheets possess distinct electrical, optical and chemical properties. The phenomena that layered oxides can be separable into their two dimensional smallest units, nanosize metal-oxide sheets, opened a wide point of view into the research and utilization of these units in various shapes and applications. It was revealed that these units have the functionality that bulk layered solids do not have. Properties are unique and different than those of bulk solid. After exfoliation, layered oxides behave in a distinct way when compared with the bulk form. Separating bulk solids into two-dimensional nanosize sheets put many advantageous in utilizing layered oxides in various applications, such as thin film preparation, fabrication of new structures, producing organic-inorganic composite materials, and getting higher efficiency in catalytic and photocatalytic applications. Understanding the properties of these nanosize units leads to the fabrication of more advanced materials with enhanced properties.